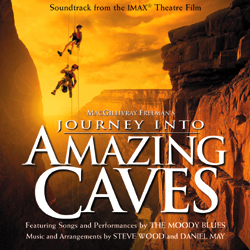 The Journey into Amazing Caves film features music and songs from The Moody Blues. The Soundtrack is now available on ARK 21 Records. For 35 years The Moody Blues have been making hit albums rocketing themselves to the status of one of the most innovative and successful rock bands in history. Originally from Birmingham, England, The Moody Blues have consistently delivered top singles such as Gemini Dream, Tuesday Afternoon and one of the biggest selling singles in history, Nights In White Satin. Other hit singles include: Ride My See Saw, The Story In Your Eyes, Isn’t Life Strange, Question, I’m Just A Singer (In A Rock And Roll Band), Steppin’ In A Slide Zone, Driftwood, The Voice Blue World and Sitting At The Wheel. 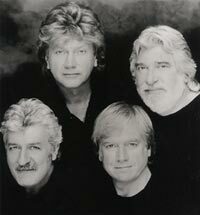 Band members Justin Hayward, John Lodge, Ray Thomas, Mike Pinder and Graeme Edge joined together in June 1966 as The Moody Blues and over time, the band has made an astonishing 14 studio albums including, Days Of Future Passed, In Search Of The Lost Chord, On The Threshold Of A Dream, To Our Children’s Children’s Children, Every Good Boy Deserves Favour, Caught Live +5, This Is The Moody Blues, Octave, Long Distance Voyager, The Other Side Of Life, Sur La Mer, Keys Of The Kingdom, Time Traveler and Strange Times.